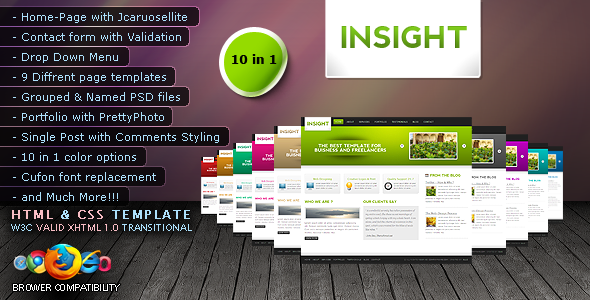 INSIGHT is a premium HTML & CSS Template that was created to showcase your company�s or freelance work in a cool and professional way. 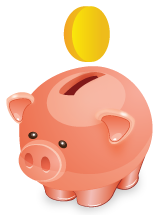 The theme is very easy to customize as I have well commented the code. 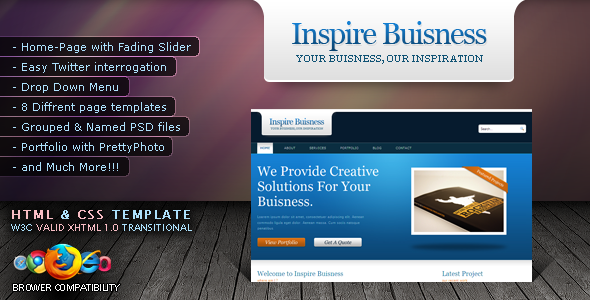 * 8 Diffrent page templates: Home, About, Full-Width, Services, Portfolio, Blog, Single-Post, Contact.